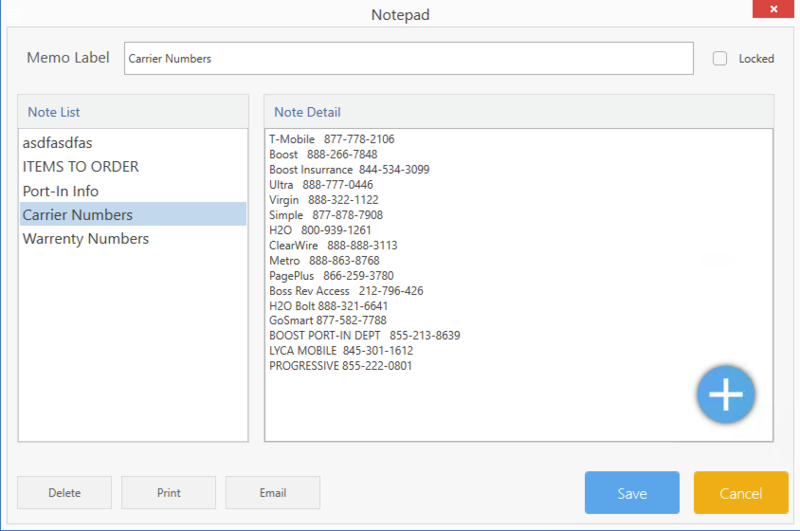 Notepad is also another great note taking app built within CellSmart POS. Its a note taking app that allows you to easily access and write any quick information you need to store. Click on the Notepad icon. Enter any important notes in the note taking field. Click the save button to save your notes. Select the note you wish to delete from the list of notes. Click on the delete button to delete the note.